This particular method of caramelizing onions (crispy) is a good addition to Middle Eastern food, Asian soups, salads, rice dishes and many more. Should you require a creamier version of the caramelized onions to go on top of pasta, quiche all you have to do is add some water and a tad bit of apple cider vinegar right before you are done with the cooking. The step will render somewhat hydrated caramelized onions and will be a good addition to sandwiches, soups, and many other dishes. For the number of onions I have, I only need a medium skillet. Turn the heat on medium and place the skillet on the cooktop. Add butter and liquid oil. 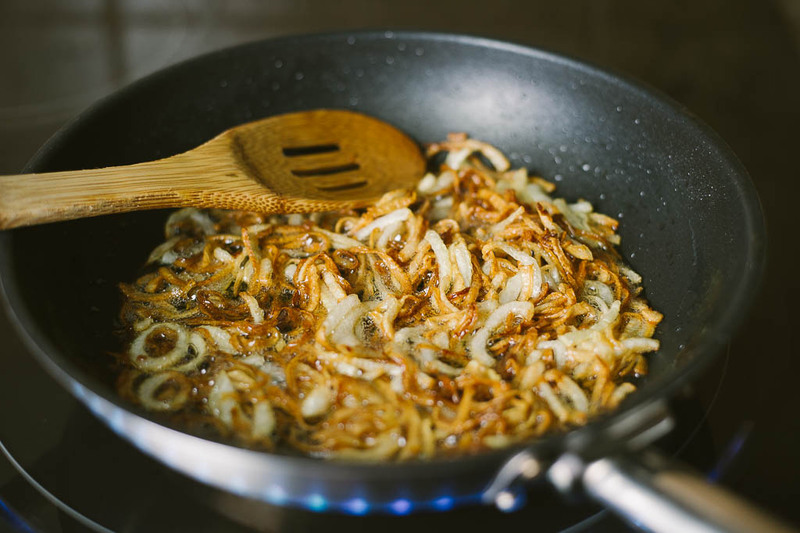 Add sliced onions and gently stir them and spread out evenly on the surface of the skillet. Keep the heat on medium until the onions soften and get translucent. Don’t forget to occasionally stir. Once the onions are translucent and somewhat cooked down, turn the heat up a notch. Let the onions keep on cooking, all the while stirring it occasionally. As soon as you notice some color golden color developing in the onions, stirring should become a little more frequent so that the thinner onion strands do not get burned. Try to flip the bottom onions to the top, and uncooked strands back to the bottom of the skillet. Once the desired color and crispiness has reached, turn the heat off and TAKE the skillet off from the cooktop, too. Since the skillet and the oils are still hot, onions will keep on cooking even after being removed from the cooktop. The best bet is to transfer the onions into another dish and keep it aside until further use. Once the desired color and crispiness has reached, turn the heat down to medium-low and add 1/4 cup water and 1/2 TBSP apple cider vinegar. Stir the liquids in very quickly and let the onions soak up the moisture and cook for another 3-4 minutes. 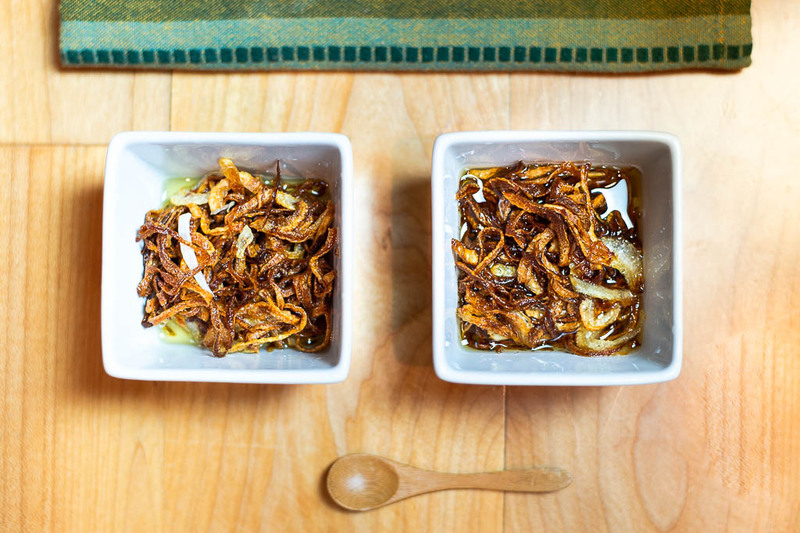 This is a quick “how-to” explaining how to caramelize onions. 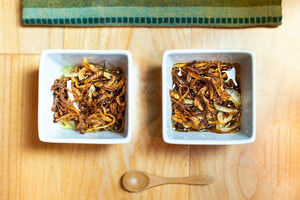 There are many instances when caramelized onions are used while cooking. The process itself is quite easy. However, there are certain details I would want you to pay attention to.